So when the kids balk at eating dinner, all I have to say is, “So… you want that in your oatmeal tomorrow?” Problem solved. Long before we become parents, we form impressions of what constitutes a “good parent” from the adults in our lives. Our own parents, for better or worse, provided our first model; other cues came from friends and extended family members. * The aunt who consistently gave up a career in nursing in order to tend to her growing family and bedridden mother-in-law. * The neighbor who allowed her daughter use mascara in eighth grade to cover up the fact that her lashes were blonde in one eye and brown in the other. * The church friend who invited every new family at church for “impromptu” dinners of chicken parmesan. Sometimes these models were not so heart-warming: the parent who drank or spanked excessively, who exaggerated her children’s misbehavior to win sympathy but refused to come clean with her own dark deeds, who yelled at the kids for making noise while he watched T.V. instead of turning off the set and engaging them in conversation. And all too often, these children grow up and find themselves saying and doing the same things with their own children, despite their firm intention never to repeat the same mistakes. In Parenting from the Inside Out, Dr. Daniel J. Siegel and Mary Hartzell explore “the extent to which our childhood experiences shape the way we parent …. 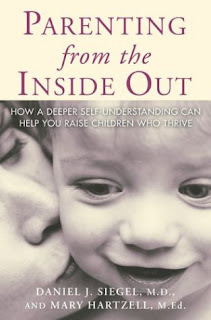 and offer parents a step-by-step approach to forming a deeper understanding of their own life stories that will help them raise compassionate and resilient children.” The authors help parents to identify the “toxic ruptures” in the relationship between parent and child, and the interactive dialogue that must occur in order to repair the damage. Each chapter includes “inside-out exercises” to help the reader apply the lessons of their own lives in order to strength the parent-child bond. During the month of January, I’ll be reviewing parenting resources. If you have a good book to recommend,write to me at Heidi(dot)hess(dot)saxton(at)gmail(dot)com. 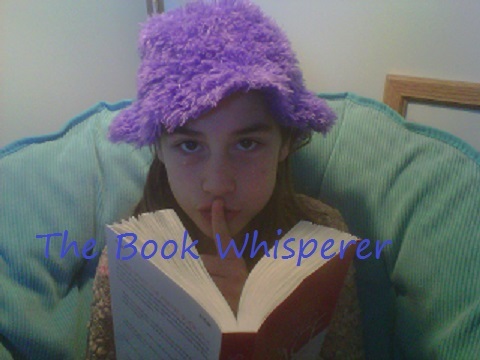 This entry was posted in book review, Book Whisperer, contest, parenting and tagged Book Whisperer, Daniel Siegel, discipline, Mary Hartzell, Parenting books, Parenting from the Inside Out by heidihesssaxton. Bookmark the permalink. I love the baked bean story. My own experience was with brussels sprouts – I am still proud of the fact that it took three days before I caved in. I haven’t been able to look a brussels sprout in the eye since.Hmmm, must remember that one for my kids.